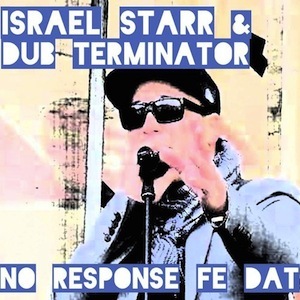 “No Response Fe Dat” is the latest tune to come out of the Soul Island camp, a collaboration between Wellington vocalist Israel Starr & Auckland producer Dub Terminator. “No Response Far Dat” is an absolute banger which shows both artists are in top form! Having been brought up surrounded by all things reggae, it’s only natural that Desta ‘Israel Starr’ Buchanan has become an important part of Aotearoa’s ever-growing reggae and hip-hop scenes. 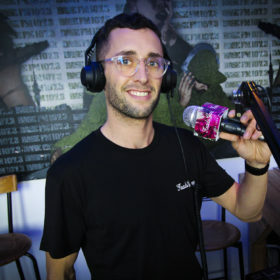 The son of local legend The Mighty Asterix, Israel Starr hails from Auckland but now resides in the culture capital Wellington, in the suburb of Upper Hutt, the birthplace of NZ hip-hop. Describing his style as ‘versatile’, Israel is able to rip up anything from hip-hop flows, sweet lovers rock and dancehall to smooth soul. He says, ‘being a dancehall artist you set your standards high, and to be able to mash up any style and work with any sound is a must’. 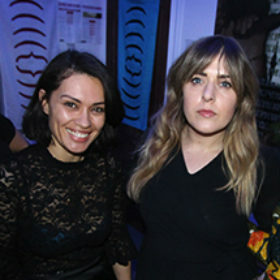 After the success of 2010’s “Soul Island Vol 1” release, local producer Dub Terminator gained an International following and come to the attention of UK label Green Queen Music. Dub Terminator sound is to dubstep what IDM was to underground dance: a clever mix of sounds and styles ranging from dancehall, reggae and ragga to dubstep and hip-hop with elements from grime as well as main-stream club culture.